Is Tim Laidler the most gosh darned photogenic guy in Canada? 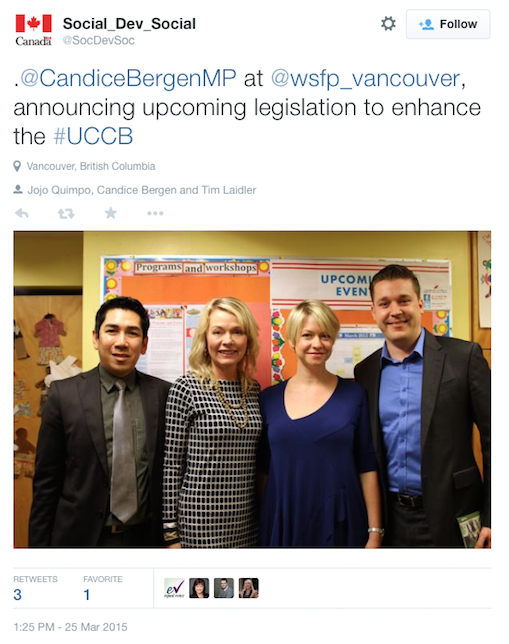 Or are Conservative ministers using public resources to promote Conservative candidates at taxpayer-funded events? 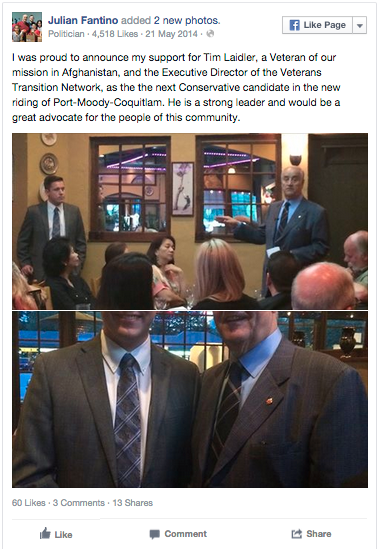 A British Columbia blogger has been wondering why Laidler, a Conservative candidate in the new riding of Port Moody-Coquitlam, keeps showing up at so many official Government of Canada events and posing next to Conservative ministers in so many official Government of Canada photos — even after he formally won the riding nomination in August 2014. 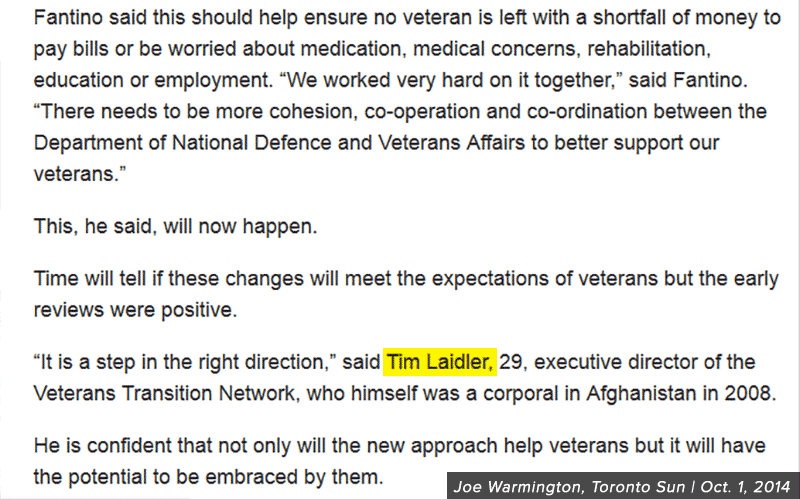 The photo, taken on the tarmac of the Vancouver airport, was posted on an Instagram account run by Laidler’s campaign. So how did Conservative candidate Laidler end up in a receiving line for a foreign dignitary (he wasn’t the only one: Conservative candidate Marshall Neufeld was also on hand)? Who was able to take a picture of Laidler over the shoulder of Modi’s bodyguards? 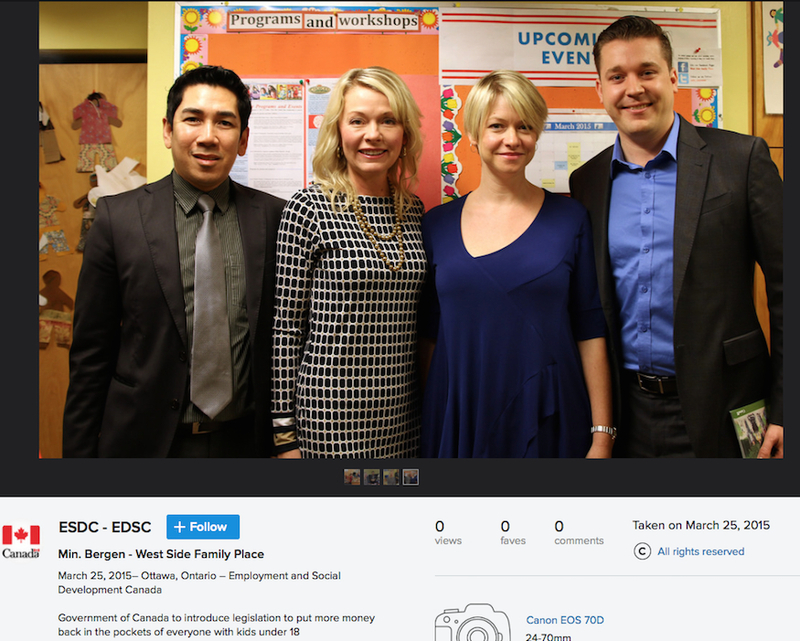 Which raises other questions — like who’s that posing for a publicity photo with Minister of State for Social Development Candice Bergen at an official, taxpayer-funded Government of Canada policy announcement on March 25, 2015? 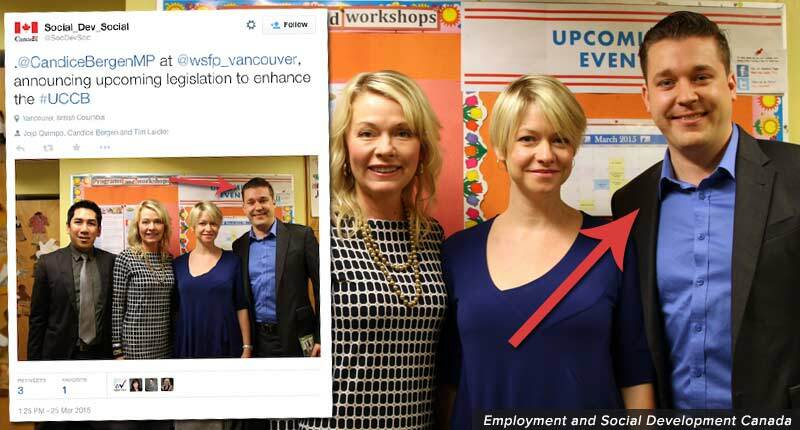 That photo originally appeared on the Employment and Social Development Canada’s official (and non-partisan) Twitter and Flickr accounts — with an ESDC photo credit. The department did not respond to several requests from PressProgress for clarification about the use of taxpayers’ dollars. ESDC’s photos and tweets mysteriously vanished from the department’s social media accounts after the BC blogger started asking questions. (The department also did not respond to multiples requests for clarification on this issue). 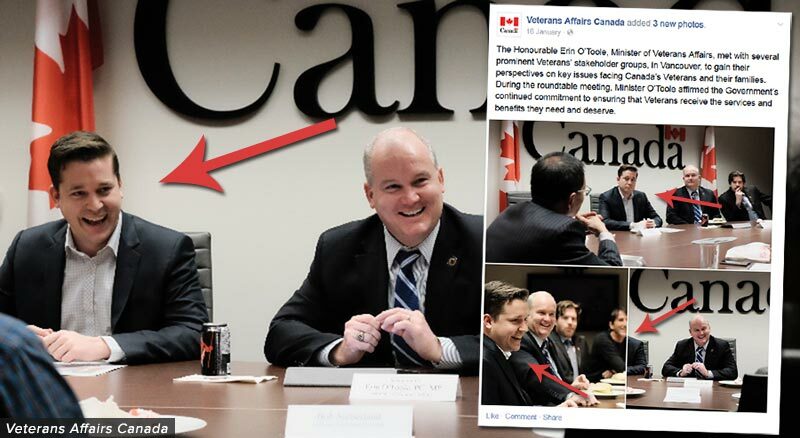 And by the way, is that the same Conservative candidate sitting next to Veterans Affairs Minister Erin O’Toole in a series of taxpayer-funded publicity shots published on the official Veterans Affairs Canada website and Facebook page in January 2015? 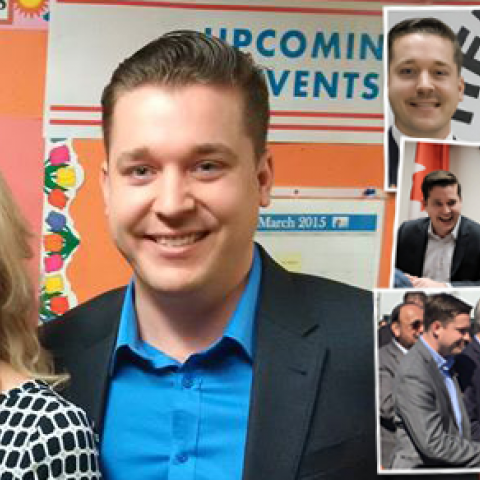 Why would a nominated Conservative candidate appear at official Government of Canada events without being identified? 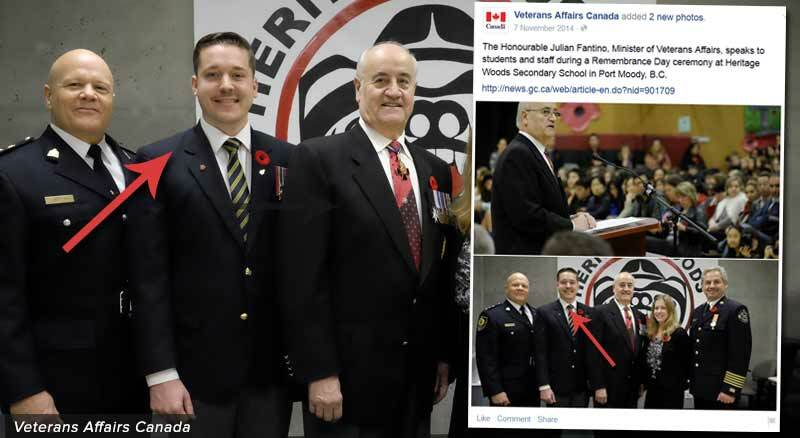 Probably for the same reason Laidler appeared at another Veterans Affairs event at a high school in Port Moody with O’Toole’s predecessor Julian Fantino in November 2014. Photo: Employment and Social Development Canada. VIDEO: Does James Moore still think Vancouver has Canada’s #1 Coast Guard service? 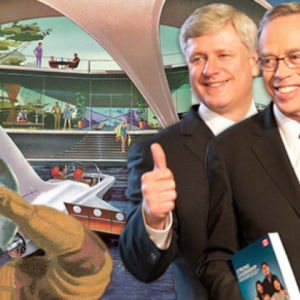 We knew Bay Street types can only see one quarter at a time — but does Finance Minister Joe Oliver even care about the future?